T.T. 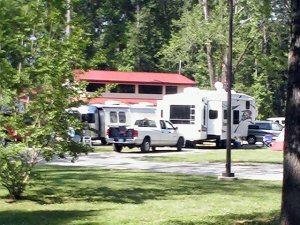 left this review using the Directory software: - This is an excellent campground with a friendly, helpful staff. It does take several miles of travel to arrive at the BX and commissary, or to even reach the gate from the FamCamp, which eats into the savings on campground fees.